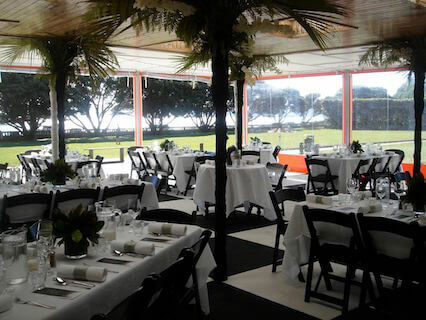 Days Bay Pavilion is the perfect venue for your next private function or event. We cater for weddings, Christmas parties, kid’s birthday parties, pizza parties, birthday parties, family reunions, engagement parties or staff functions, team building events, farewell parties and other private occasions. We offer a venue with great character and history. Once, John Williams developed a holiday resort in Days Bay to give Wellingtonians the time to relax and rejuvenate. Today we can offer you beautiful grounds and a comfortable and cosy venue to relax and to celebrate with friends, family and colleagues. Days Bay Pavilion café has great indoor/outdoor flow, natural lighting in the day and cosy candle light in the evenings and spectacular views of Wellington Harbour. We can cater for up to 100 people seated and 250 people standing. Your party can be seated in the private and comfortable café area, or on our outdoor terrace. Our facilities are available until midnight on Fridays and Saturdays, and until 10 pm on other evenings. 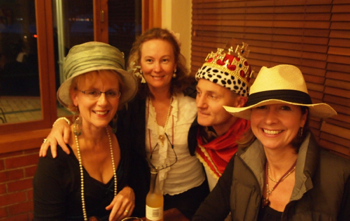 We are a flexible bunch of people and we can customise your occasion to your specific needs. Our chefs have great experience with different menus, from finger food tray service or platters, to buffets or plated menus. We can also arrange entertainment, whether you need a DJ or a band, just talk to us. If you would like to make a booking please contact us for more information.